Underwater photography is one of the most popular diving specialties, and the PADI Digital Underwater Photographer level 1 course gets you going quickly, regardless of your camera set-up. And, because underwater photography is also popular with snorkelers, there is an option for snorkelers and skin divers to complete the course as well. There is also an optional level 2 course that may be completed at the same time. 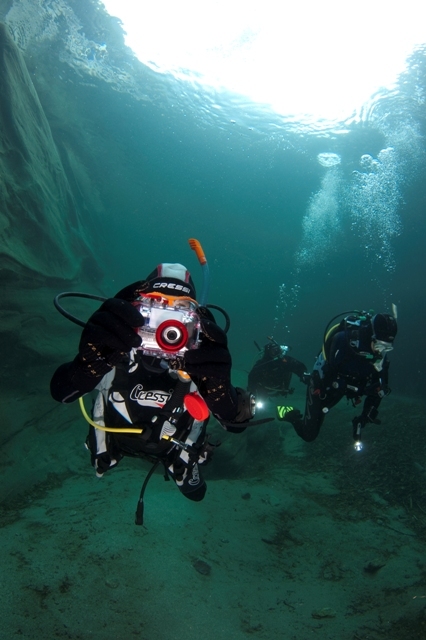 Any Open Water Diver who is at least 10 years old may enroll in this course. Through hands-on training during two dives in one day (or four dives in two days) you’ll discover how to choose the right underwater camera system for you, the SEA (Shoot, Examine, Adjust) method for getting great shots quickly, principles for good composition of underwater images, and practical techniques to take great photos with your digital camera. The second dive of this course may credit as an Adventure Dive toward your Advanced Open Water Diver certification. Sign up for Digital Underwater Photographer Online – PADI’s eLearning option – to get started immediately. The web-based system guides you through the principles of great underwater photography, with a bonus section on underwater imaging (including video). You study at your own pace through an easy-to-use, interactive program. You also have access to an online version of the Digital Underwater Photographer Manual. Or, simply contact me to obtain the Digital Underwater Photographer Manual.